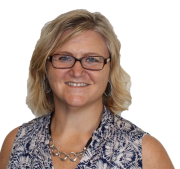 Julee Bellomo Everett is an experienced agile practitioner and PST based in Tampa, Florida. As a leader at CCG Analytics, she leads specializes in innovation offerings, product coaching, and Scrum training. Julee enjoys applying agile frameworks beyond software, such as recruiting and marketing. She specializes in agile portfolio management, product planning and product ownership with a focus on lean thinking and innovation. Julee is active in both Agile and Project Management communities. She is the founder of the Tampa Bay Product Owner group and actively participates in community agile and technology events. She is a frequent speaker, blogger, and author. You can read her thoughts at www.theagilecorner.com or on LinkedIn Pulse. She recently collaborated on a new Agile Marketing book by Femi Olajiga. Lean Agile Marketing: How to Become Agile and Deliver Marketing Success. She is the Tampa Bay Tech Agile Coach of the Year 2017.